Rasam is what I crave when we’ve been traveling or eating out too much. And on those days when I simply don’t want to mess with soaking tamarind, waiting for the toor dal to cook, and make rice in a different pot. A few years ago, I came across this method where you can make it all in one go and tried it in my pressure pan – this was before the OPOS days. Now, I have started using my instant pot for the same, and even the extra step of watching and turning it off is eliminated. It’s ready with minimal prep – no soaking tamarind, no making a pot of rasam, and rice separately, no waiting for dal to cook. 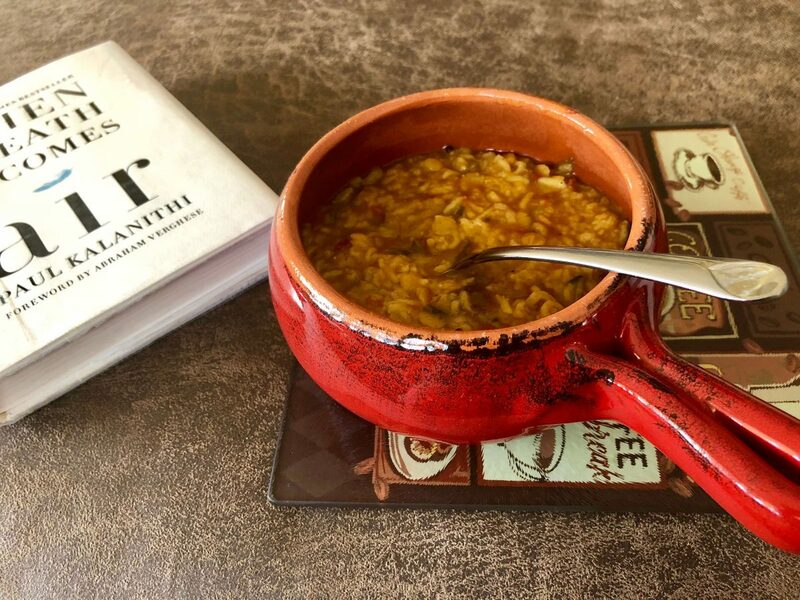 All the ingredients go in the instant pot together, pressure cooked for 15 minutes, and a simple rasam rice is yours – hot, steaming, and will soothe your soul in under 30 minutes. And it tastes heavenly! Sometimes you just have to have rasam. But you don’t have prepared rasam powder. 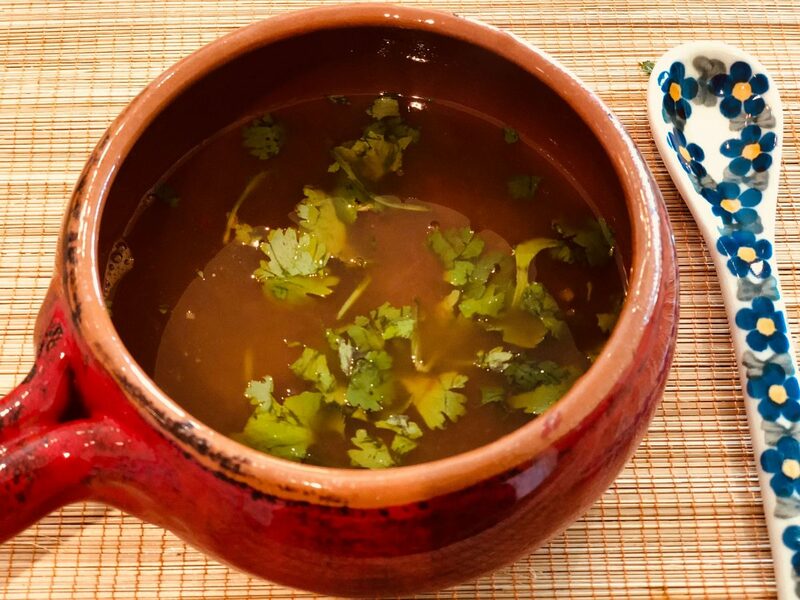 This tangy, spicy rasam is just for those times. 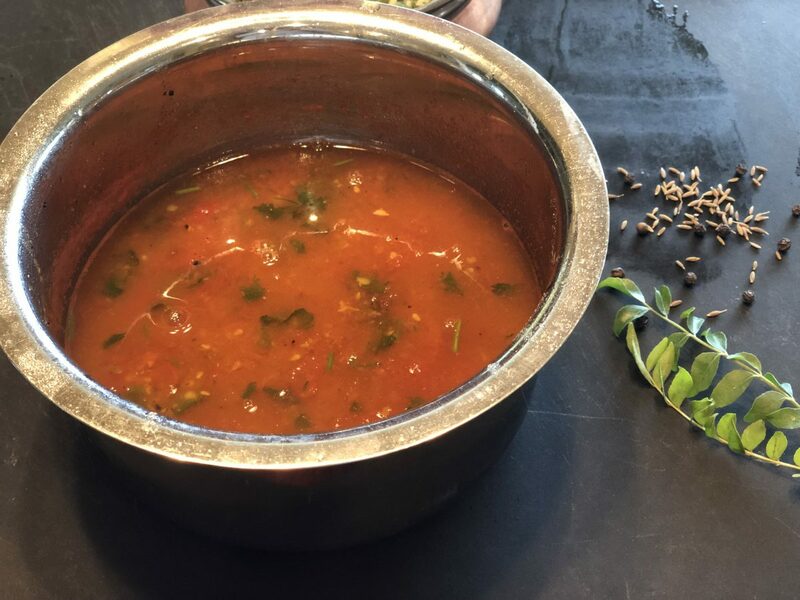 Made with simple every day ingredients in every kitchen, this just hits the spot for those rainy cold days when all you want is rasam, and won’t settle for anything else! Made only with tomatoes, a few spices and cooked mashed lentils, this is a soup as well as an accompaniment to rice. Quick, tasty and flavorful!